Velu Viswanathan, popularly known as Paris Viswanathan (born 1 January 1940) is an Indian painter, has carved his own domain in the contemporary art scene. He lives in Paris since 1968. He had been selected for the Kerala Lalitakala Academy fellowship for 2008. That’s when K. C. S. Paniker, the principal of Madras School of Arts, envisioned the idea of “a space for artists to do their research and express themselves creatively and not commercially.” He, along with his students established the Artists’ Handicraft Association as an extension of art that would help sustain themselves while they pursued their artistic endeavours. Viswanathan briefly settled in Cholamandal but he decided to travel. “Friends arranged an exhibition of my works in a garden and bought me a one-way ticket to Europe with the money.” The trip changed his life. Viswanathan travelled across Europe and saw the original works of masters such as Van Gogh and Edvard Munch about whom he had studied back in Madras. When he arrived in Paris towards the end of August 1968, the world of art embraced him. His first exhibition was held in 1970. “After the show opportunities to work there opened up. It has been close to five decades since I started a life in Paris says the artist. His style evolved from the abstraction of India . 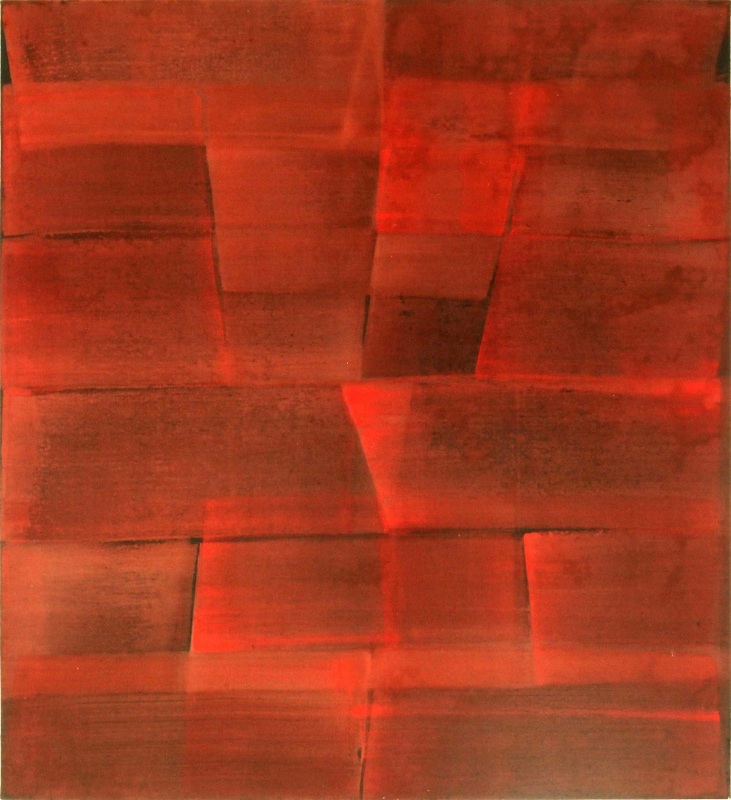 Inspite of living in France for so many years,his connection and roots were important to him and he used these origins in a deconstruction of sorts in his work. His background and exposure in his youth of tantrik, folk and religious rituals he encountered led him to explore and question the philosophy behind the religious practices in Kerala and that set him on his journey of exploring Air Water and Fire in his art leading to his films and abstraction in his paintings. He also opted for a medium called Cassin which has a transparency and freshness that stays over time. Over the last few years the colour RED dominated his work. 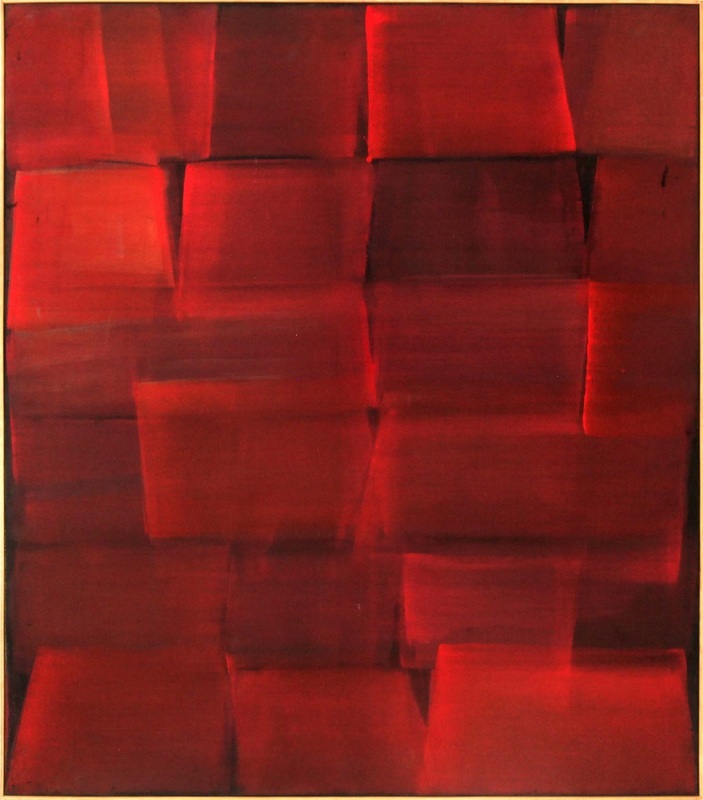 RED being a ritualistic colour in many cultures has many layers to it in philosophy and the conceptual additions he added to it created his own vocabulary . 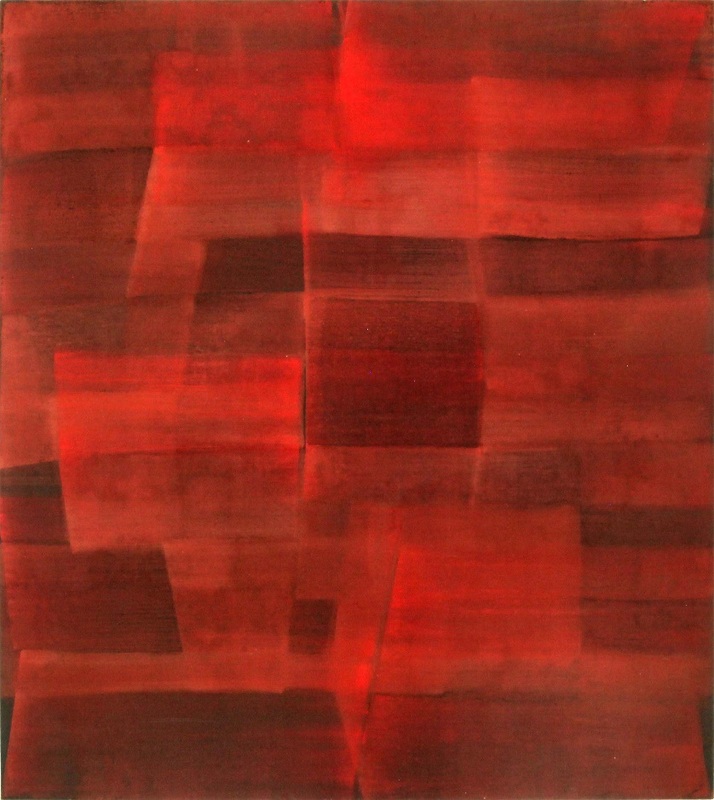 He read RED in his own realm in a personal narrative that was dramatic moving and his very own .These very layers in his paintings speak of the experiences of his journey and thinking that he brings to his art.